An Insult! An Outrage! A Baby Chicken! While perusing the racks at REI for a pair of biking knickers, I rifled through the sale rack of women’s shirts. The below picture is the type of shirts on that rack. Look at this crap! It’s effin’ unholy. Talk about a continuation of the pink theme from my earlier post but this has gone too far. If you click on the picture, you’ll see a larger, more crisp version. Just be warned your eyes may be momentarily seared. 1. The shirt on the far left is a horrible shade of pink with YELLOW flowers. 2. The middle shirt says ‘biker Chick’ with a baby chicken, which appears to be quaking in fear on top of a bike saddle. Why is the ‘b’ lower case and the ‘C’ capitalized? Note the first two are also sleeveless. I personally hate sleeveless biking jerseys, but I understand why you don’t want tan lines. I’m already doomed there. 3. I think it says ‘Hippy Chick’. I am unsure what the picture is of. An owl? Daisies? A chicken? All I know is that it’s a god forsaken mess and unless I was being paid a lot of money by a sponsor, no way would I wear this jersey. 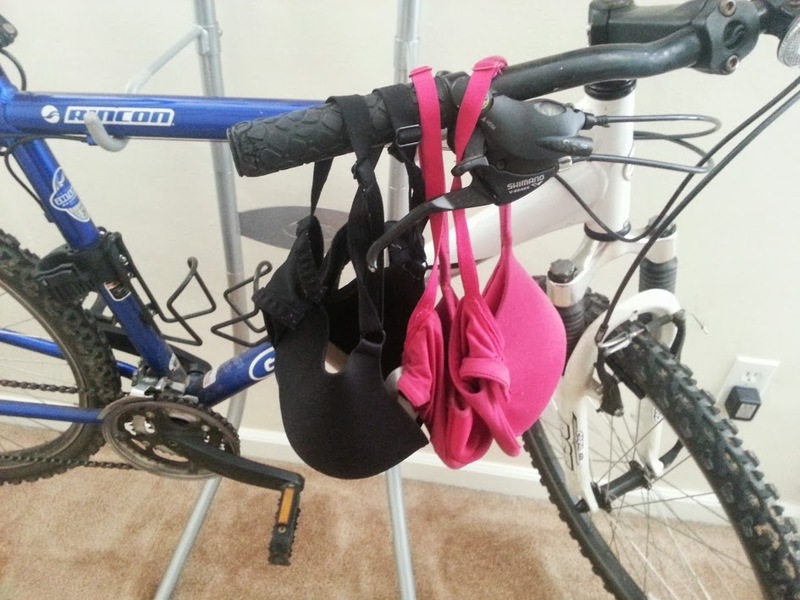 Why is mainstream women’s bike clothing so effin’ lame? The more I look at the baby chicken, the more I have some kind of emotional response to it. Oh god what a ‘chick’ thing to say…. 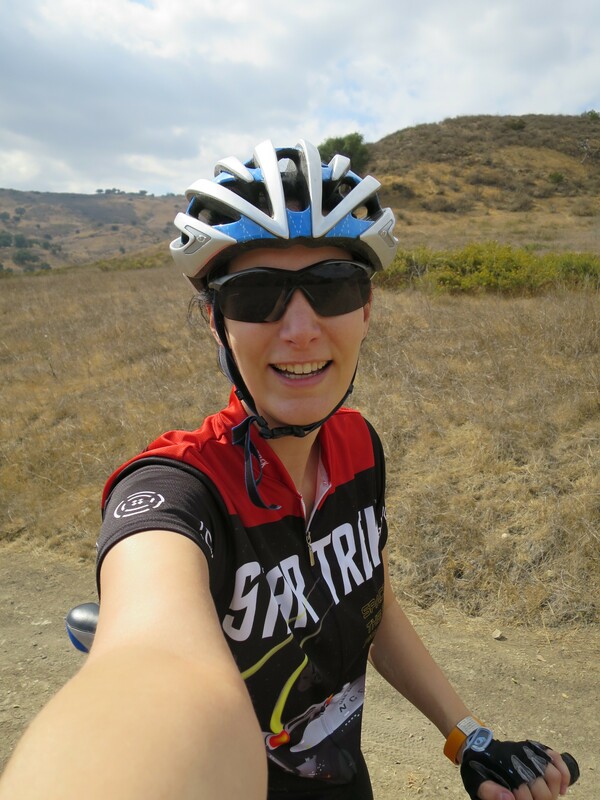 August 25, 2011 in clothes, gear, Ramblings. Yeah these jerseys look terrible but most cycling clothes in general are pretty hideous. Men’s selection isn’t any much better. Why would anyone BUY and wear this? You should talk to the store manager about the selection of clothes offered. REI has a buyer and it’s probably some cluless guy who thinks all this “chick stuff” is good. He doesn’t know any better. You should raise your concerns and they would probably change their buying habits. 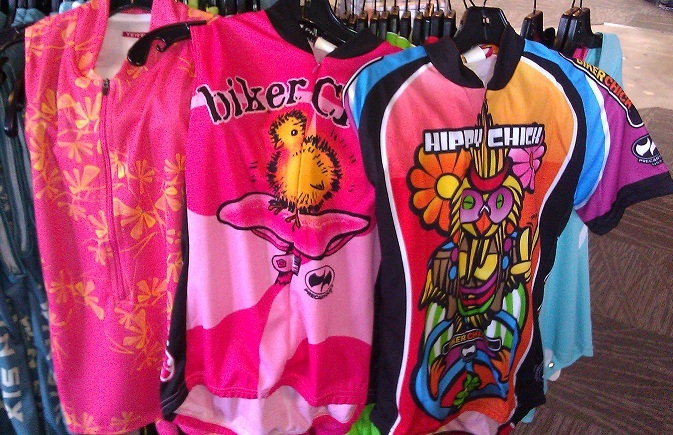 There are plenty of very nice women’s cycling clothing being offered. It’s just not making to the stores you are shopping at.